INFOGRAPHIC: A high-res of our popular How To Swab for the Flu infographic. BUYING GUIDES: Including helpful ordering guides and a product brochure. 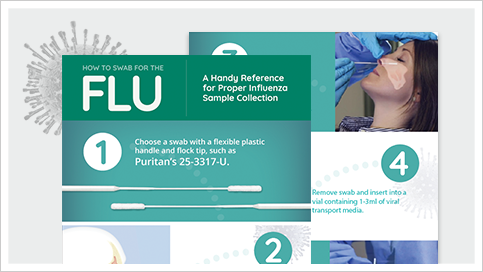 VIDEOS: Including our new How to Swab for the Flu: Collecting a NP Swab Specimen and HydraFlock® absorption and elution competitor comparison.